Beside the language and its API, Groovy gave birth to a fruitful ecosystem of projects around it, on various themes such as web frameworks, desktop application framework, concurrency, testing, and more. In this section, we&apos;ll highlight a few of the most well-known and successful projects, which leverage Groovy at their core. The GPars framework offers Java developers intuitive and safe ways to handle Java or Groovy tasks concurrently. Leveraging the enormous flexibility of the Groovy programming language and building on proven Java technologies, we aim to make concurrent programming for multi-core hardware intuitive, robust and enjoyable. Griffon is an application framework for developing desktop applications in the JVM, with Groovy being the primary language of choice. Inspired by Grails, Griffon follows the Convention over Configuration paradigm, paired with an intuitive MVC architecture and a command line interface. Geb is a powerful browser functional testing framework that lets you quickly and easily write functional tests in Groovy. It brings together the power of WebDriver, the elegance of jQuery content selection, the robustness of Page Object modelling and the expressiveness of the Groovy language. SDKMAN! is a tool for managing parallel versions of multiple Software Development Kits on most Unix based systems. It provides a convenient command line interface for installing, switching, removing and listing Candidates. BeakerX brings Groovy to the Jupyter interactive computing environment. It provides interactive plots, tables, and a notebook-style web UI. 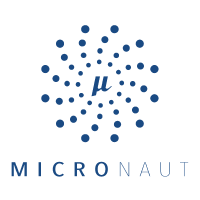 Micronaut is a modern, JVM-based, full-stack framework for building modular, easily testable microservice applications. There are of course many other projects using or built with the Groovy programming language. For instance, you can find some more by having a look at the trending Groovy projects on Github.